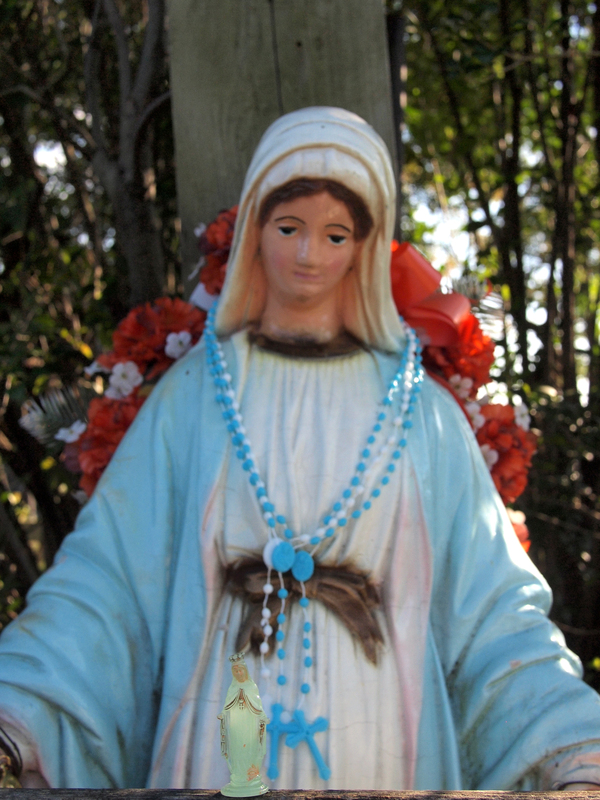 Iodophor Mary takes a holy pilgrimage to West Fairmount Park, 20 September 2013. 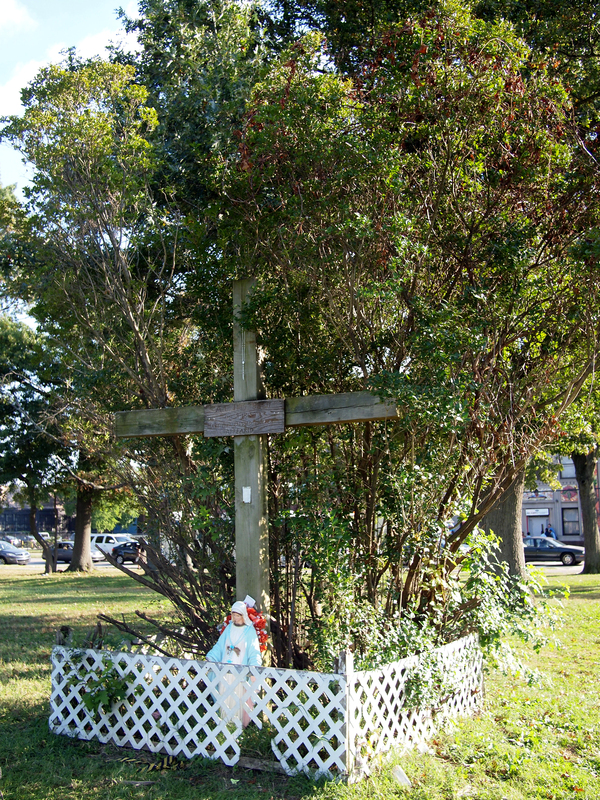 Sixty years ago, a vision of the Virgin appeared to three parochial school girls walking through West Fairmount. This vision drew over 70,000 pilgrims to the privet bush, 20 September 2013. 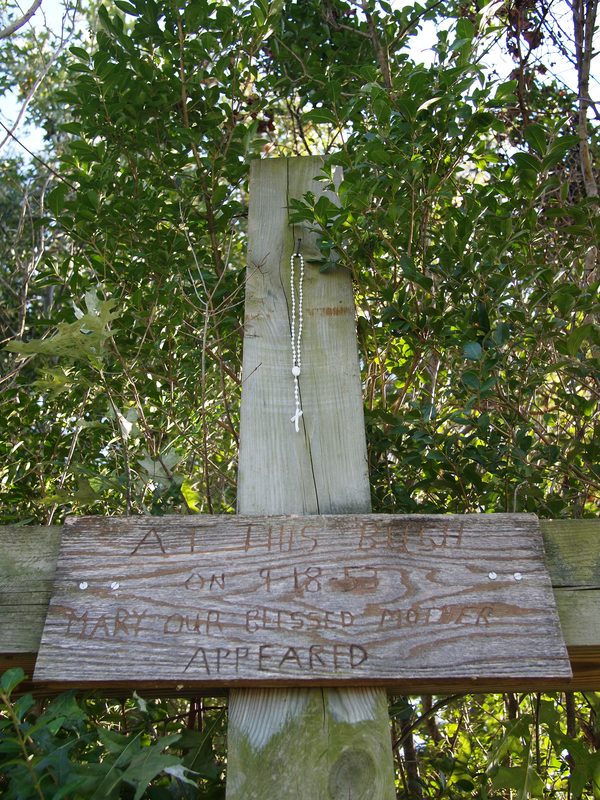 “At this bush on 9-18-53 Mary Our Blessed Mother Appeared,” 20 September 2013. 23 Sep	This entry was published on September 23, 2013 at 8:08 am and is filed under Glow-in-the-Dark Mary, West Philly. Bookmark the permalink. Follow any comments here with the RSS feed for this post.